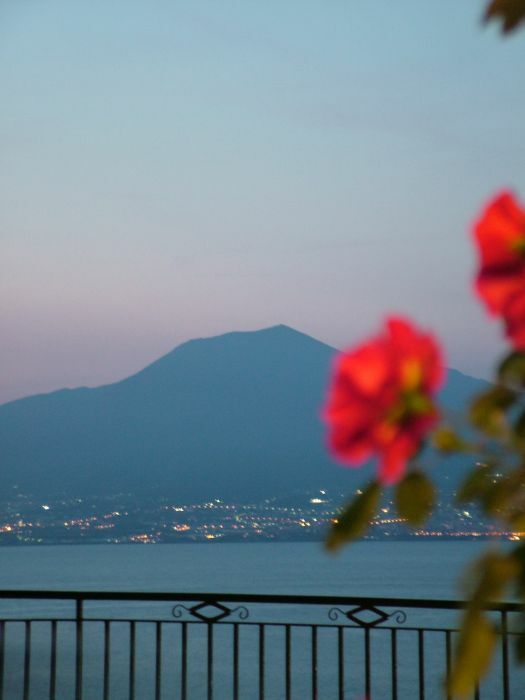 In the enchanting scenery of the Gulf in Naples, in unique position, the Astoria Hotel 3 stars, offer a tradition begun by the fatherly grandfathers in the distant 1930 to his guests, in the family atmosphere, typical of our region. 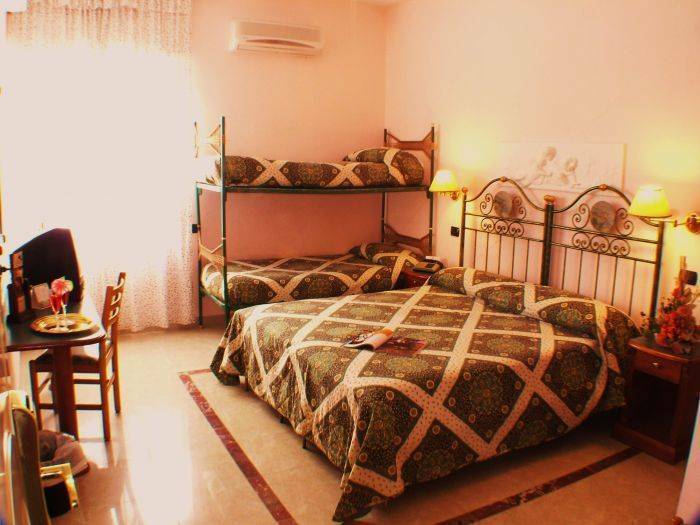 Placed in panoramic position (from big part of his rooms it is enjoyed some sight sea and Vesuvius) to few footsteps from a beach and from the city center, alone 800 meters away from the thermal baths it is ideal for tourist and balneo-thermal stays. 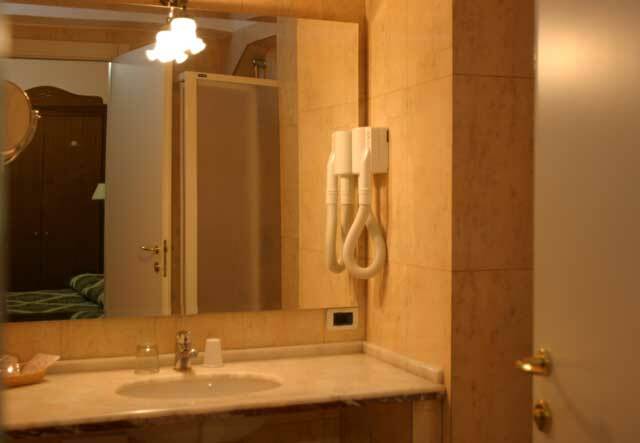 All of its rooms are endowed with private services, heating, direct telephone, tv to colors, radio, hair dryer, connection internet etc. Hotel restructured in 2001 and 2003 with very comforting and pleasant rooms, endowed with every confort. 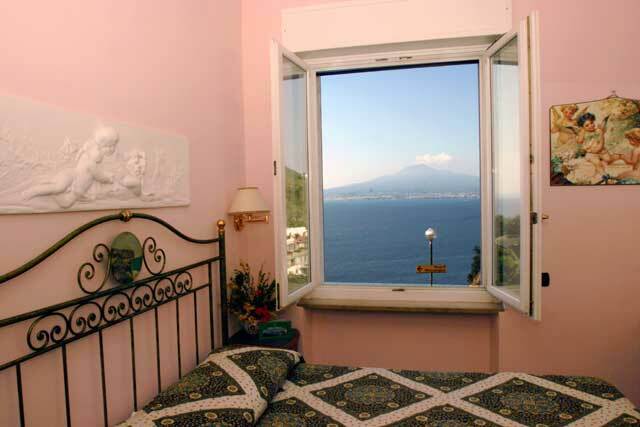 Good Buffet Breakfast, in the room breakfasts that you are leaned out toward the Gulf of Naples and the Vesuvius. Near to all the means of communication public. to only 7 kms from the center of Sorrento, to 12km from the Pompeii ruins, ideal for all the excursions of great interest in the gulf in Naples and Salerno, Prived parking lot guarded to payment. Alone 800 meters away from the thermal baths where it is possible behavior treatments of muds , aerosolterapie etc. connected with free shuttle. Sober and reserved environments; small space for the smallest with cottage plays and varied activities. We wait you to make of your stay a moment of pleasant relax. Capri 6 km. + 2 mls. Amalfi and Ravello 30 km.